Course Fee: $80 plus range fee – See Upcoming Courses for the exact cost for the course near you. Classroom: The Multi-State Carry Permit Course has no prerequisites and is designed for all level shooters and experience. The course goes beyond the state requirements to ensure you are safe and prepared to carry your firearm. The class will begin with learning to live aware of your surroundings in order to avoid conflicts, and to give yourself time to ensure you know how to safely and legally respond to a violent encounter. We will then review firearm safety and the fundamentals of defensive shooting. Next the class will thoroughly discuss the process to apply for your carry permits, all of the legal aspects of carrying your firearm, the legal requirements for use of force and lethal force, the physiological effects you experience during a violent encounter and finally how to interact with law enforcement after an encounter. Shooting Qualification: After the classroom portion, we’ll head to the range for the required shooting qualification. At the range we will ensure each person knows how to safely handle and operate a handgun. The live fire exercise will consist of 10-30 rounds at 21 feet. After you complete the classroom and live fire exercise, you will receive your training certificate. You are welcome to use our handgun and ammo for the shooting exercise at no charge, but are welcome and encouraged to use yours. Please arrive 20 min before the course start time for registration. An accompanying book is available for $20.00. The book is optional, however, HIGHLY recommended. 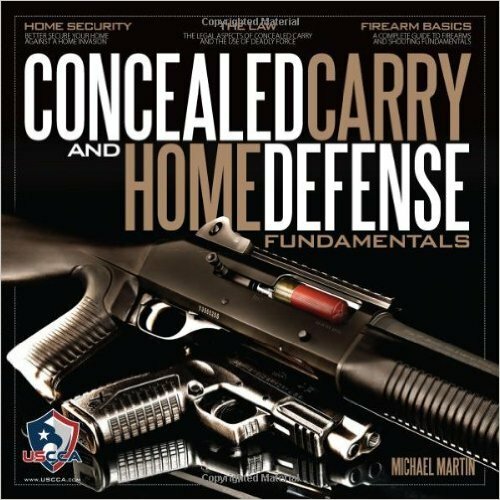 Click http://tinyurl.com/CarryFundamentalsBook to review book information.